I've just been nailing the random finds this year. I scored a beat up hardback of this book at the free box on St-Viateur. British public school, check. Stiff upper lip, check. Inter-war period, check. I was a little wary because it was written in the early '70s and reeked of the precursor to today's "literary fiction" but once I started reading, I was sucked in. It's the story of a young Welshman who is sent up north to teach at a mid-level public school after 3 years at the front during WWI. The climate up there is supposed to be a tonic for his shellshocked nerves. This decision turns out to be a fateful one as he and the school become intertwined for his entire life. 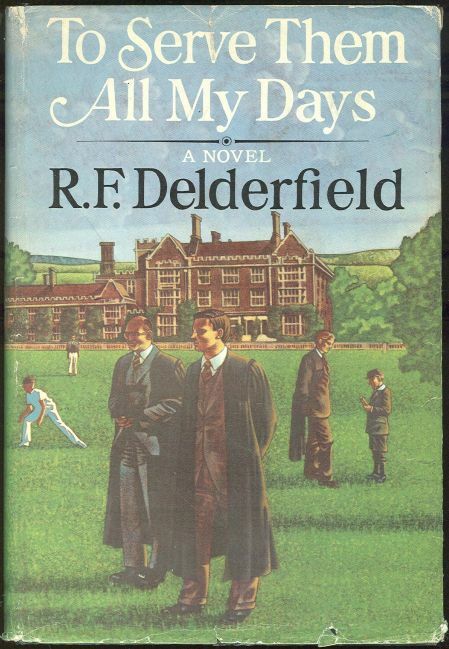 The story traces his ups and downs, culminating in him becoming headmaster and leading a new generation of boys as they go off to the Second World War. It also follows the development of his family and relationships with three women during his life. 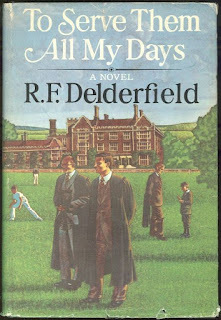 Much of it is small vignettes of life at the school and the various boys. I just ate it all up. I went to a watered-down facsimile of such a boarding school and while there was a lot of not good stuff there, much of the core values of British stoicism, skepticism and free thought that were reinforced there have served me well and informed my own personal philosophy. This book is a near-constant celebration of those ideals and got me welling up a few times with anecdotes of boys selflessness and humble courage in the face of adversity. It's a bit 70s in its outlook, especially with the sexual relationships (although that might be a bit mean on my part as overall the relations were kept at a pretty human level and avoided that weird British 70s patronizing of plucky women). The women in the novel are important and strong but definitely fail the Bechtel test.